Pigs in a Blanket are bite-size, delicious, inexpensive, and most kids--and even adults--love them. Growing up these were always made using crescent rolls, but I thought I'd challenge myself and make some homemade dough. Although these are a different texture than what you are probably used to, they are still great! Adding cheese to the dough adds an unexpected flavor so you don't even need ketchup or mustard! And coming from a die-hard ketchup lover, that is a pretty bold statement. Pigs in a Blanket are a perfect appetizer for a roomful of football fans. Since the Super Bowl is coming up this weekend, I thought I'd share this recipe with those of you who are hosting or attending parties. They are sure to be a party favorite! They even sort of resemble little footballs, don't they? Perfect! Combine flour, salt, baking powder and cayenne pepper in a large bowl. Add butter and cut it into the dry mixture using a pastry blender or large fork until well combined. Stir in the sour cream and Monterey Jack cheese until well blended. Divide the dough into two parts, shape into balls, and refrigerate for 30-60 minutes. Heat oven to 400 degrees F. Line a baking sheet with parchment paper, silicone mat, or spray with non-stick cooking spray. Roll out one portion of the dough on a floured surface to a 1/8 inch thickness. Cut into 2-inch squares. Repeat with the remaining dough. 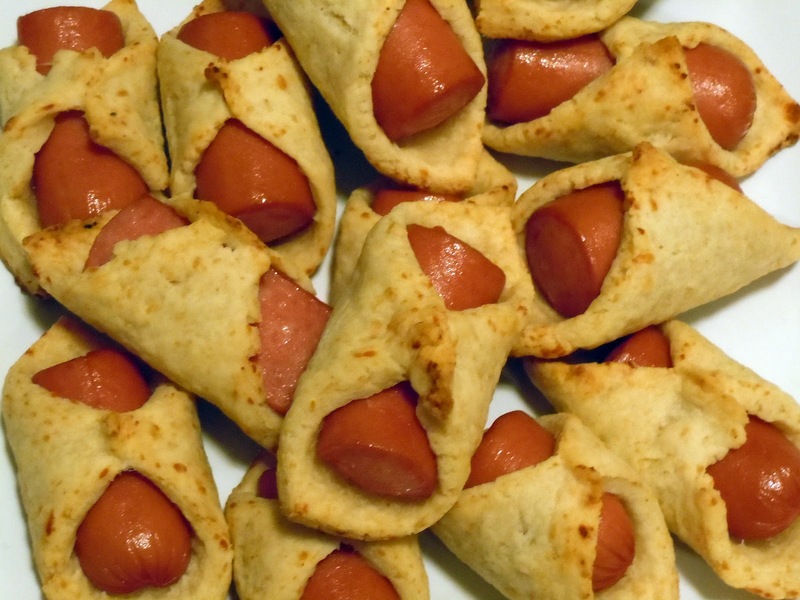 Lay a mini hot dog across a square of dough diagonally and bring two corners over and seal well by pinching, forming a blanket over the hot dog. 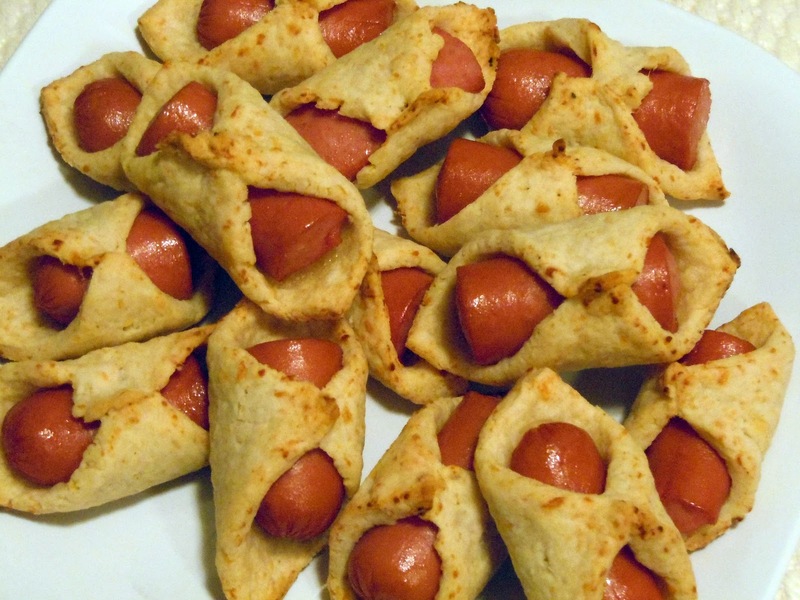 Place on the baking sheet and repeat with the remaining dough and hot dogs. Bake for 12-14 minutes, until browned.